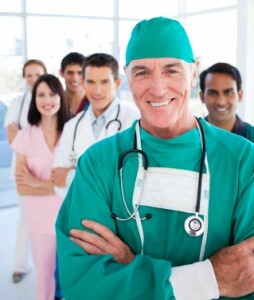 A physician practice is a group of doctors, nurses, and physician assistants who work together. There are numerous single specialty and multispecialty medical practices and clinics across the United States. Some physician groups own and operate various types of outpatient and inpatient facilities. There’s currently a clear trend of practice owners looking to sell or merge with other organizations in order to adapt to and thrive in today’s changing healthcare environment. This movement is expected to only increase as the nation looks to control the cost of healthcare while still delivering high quality results. Ambulatory Alliances is a leader when it comes to providing M&A advisory services to creditors, equity investor board of directors, court appointed trustees, management teams, landlords, private equity groups, consolidators, hospital health systems and physician owners for physician practices. The first step is to take a comprehensive, strategic approach to analyzing the practice. This leads to recommended actions that will raise the value followed by the execution of the agreed upon direction. We stay with our clients from commencement, through the transaction and beyond. We have worked with various physician owned healthcare organizations to determine the most advantageous time to sell; how to maximize fair market valuations, EBITDA and sales price multiples as well as providing solutions for operational issues that affect the business’ value. Our advisory services assignments include: sell side and buy side mergers & acquisitions; joint ventures and strategic alliances; turnarounds and workouts; assessment and evaluations of strategic alternatives; valuations; and raising equity and debt capital from local and commercial banks, finance companies, private investors, hedge funds, private equity and mezzanine/subordinated debt. With significant experience in M&A transactions, exceptional negotiation skills, thorough industry and operational knowledge and close relationships within the healthcare industry, Ambulatory Alliances is the best partner to make complex physician practice deals happen.